Water Damage Restoration is the process of reducing or preventing the amount of water damage that happens after a flood or a permeating leak. It prevents additional damage by taking fast, appropriate actions. The experts at Rainbow International of Huntsville and Conroe understand this. Water restoration is needed after plumbing failures or when storms cause water to rush into your home. Soaked rugs, damaged walls, warped flooring and ruined furniture are only the beginning if restoration is not engaged quickly. Specific steps are taken to reduce property destruction, to prevent further water damage and to restore your property to its full value. Seeping water damage is progressive, pervasive and can mean valuable objects may become permanently damaged – especially if emergency response is delayed beyond the first 48 hours. Call right now, 936-291-0968. Water damage is usually caused by a plumbing failure. When moisture seeps into anything of value there are immediate steps that can be taken to reduce the amount of long-term damage that results. Shop vacuums and companies with only carpet drying equipment cannot prevent water from wicking up walls, under baseboards and molding, or into sill plates. Water will penetrate through floor coverings into subfloors, eventually causing damage to rooms below. If internal building humidity is not controlled, undamaged objects safe from the original flood damage could be ruined as a result of absorbing moisture from the air. Structures not dried out quickly enough or properly will become a food source for mold, later causing a need for even more professional mold removal services. 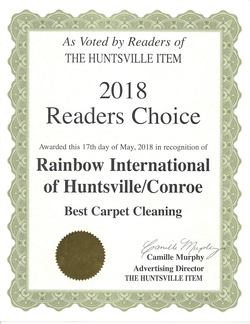 Rainbow International of Huntsville and Conroe, TX has water damage restoration technicians who are trained in current procedures like Rapid Structural Drying in order to dry the entire structure as quickly as possible by utilizing state-of-the-art equipment and technology. Moisture meters are needed to locate moisture invisible to the eyes, or that lurks hidden behind walls or cabinets. Rainbow International Water Damage Restoration Service Professionals will guarantee all wet materials, objects and surfaces are completely dried. Because we comprehend just how important it is to act quickly in the face of an emergency such as flooding from plumbing failure or storm water backup, anytime there is a potential for water damage, smoke damage or fire damage, you can rely on Rainbow International to provide the quick emergency response and efficient professional services that are on-call 24-hours a day. 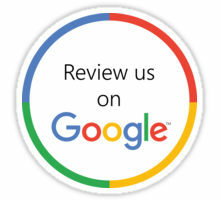 For any possible questions you would like to ask your Water Damage Restoration Contractor, click here. Or call now for your free consultation about how to best approach your water damage emergency plan. Call Rainbow International right now at 936-291-0968.